The cheek of it. Governor Andrew Cuomo waltzes into a press conference and announces he is going to save the subway. After years of denying the Metropolitan Transportation Authority (MTA) the funds to upgrade the subway, Cuomo on Thursday declared that the system was in a state of emergency and pledged $1 billion to fix the issue. But a knight in shining armor he is not. New Yorkers know how overdue this is, and so does he. According to the New York Times, Cuomo fled the scene immediately, revealing no details as to where that money would come from. The New York State Governor will also reportedly sign an executive order to usher in repair work and new gear to bring the subway up to speed. The announcement comes after an A Train derailed earlier this week, leaving 17 hospitalized and others with minor injuries. Other subway horror stories abound. This is the culmination of a beleaguered 112-year-old system that has been crying out for help for decades since its popularity boomed in the early 1990s. As more and more use the system, the worse it gets. In 2007, 94 percent of 1 Trains were on time. Fast forward ten years and that performance meter has dropped to 70 percent. That’s better than the rest of the subway’s lines which, on average, are punctual 59 percent of the time. The problem is overcrowding (which accounts for more than a third of delays today) and, of course, this means more delayed passengers angrily tweeting venting their frustration—so the more we hear about it. (The Architect’s Newspaper recently spotted this poster at the 49th Street N/Q/R/W subway stop.) Signals, way outdated and faulty beyond belief, are also the source of other delays, as are faulty tracks and switches. Though ironically delayed, Cuomo’s rhetoric will be welcomed by subway riders more accustomed to hearing about train traffic ahead of them. “We need new ideas, delivered faster,” the governor told reporters and entrepreneurs who attended the speech. 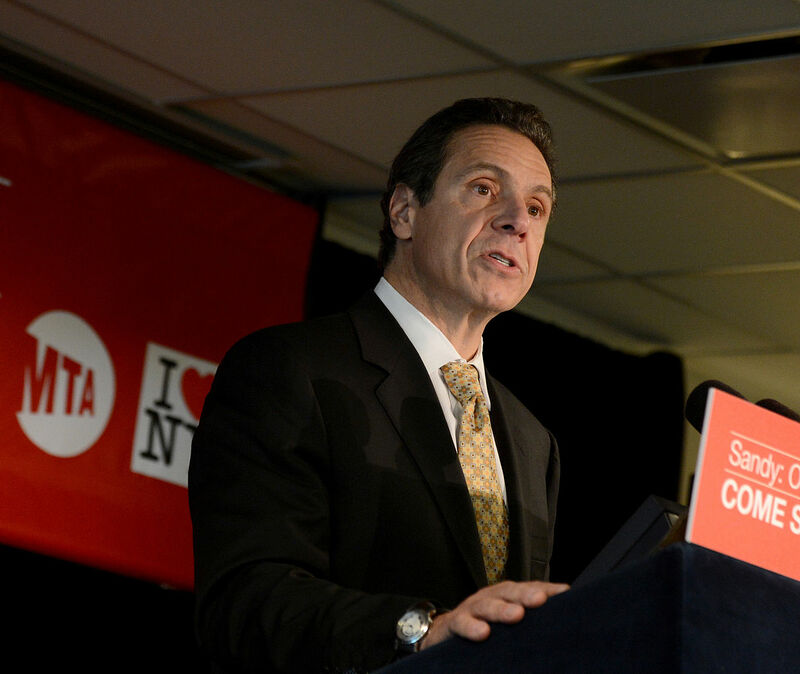 “It will no longer be a tortured exercise to do business with the MTA,” Cuomo continued, announcing an ideas competition to improve the subway.